As the mighty man himself wrote, “Better three hours too soon than a minute too late”-now is the time to walk in Shakespeare’s footsteps. It has been quite an unusual chain of linking events this week. Firstly, yesterday in the mail we received a rather mysterious envelope complete with some rather exotic stamps and a letter informing us of how we had been voted “Top Choice 2015” by Lianorg; a professional tourism information site for Asian tourists. As a result, we now have a medal that we are proudly wearing at our Aberdeen HQ and we are now featured on their website. I have to say it is rather intriguing to see The Spires written about in Chinese, even if I am not entirely sure about the translation (thank you Google Translate). It is definitely an achievement to see how we have made even the smallest of foot-steps into the international arena, especially considering the language barrier which makes it really hard to market yourself; particularly as a smaller organisation. Linking on from our exciting news was how Birmingham, one of our respective locations, has announced that Hainan Airlines is to operate two weekly flights between July 3 and 28 August flying from Birmingham to Beijing; hopefully blazing the way for a regular service. Between the flights expected to carry almost 4,000 Chinese tourists to the UK, and coupled with our online presence on Lianorg, this hopefully will help us to open up to a wider international market. Both of these developments are very exciting if this could potentially pave the way for us spreading our cultural wings and having the chance to welcome an increased number of international guests-particularly from growing economies such as China. Finally, this then linked on to how Birmingham is re-branding itself as “Shakespeare’s Airport” in China due to the tourism pull that Shakespeare has for Asian tourists and the proximity of Shakespeare’s home to Britain’s Second City. Already the cogs in my brain were turning in regards to writing a blog about the Birmingham-Shakespeare connection, but then it turned out that today is actually National Shakespeare’s Day, making this day of all 365 days in the year the most fitting time to write about the UK’s most renowned playwright and poet. Coincidences eh?! Stratford-upon-Avon is the fond childhood home of Shakespeare and is located about an hour’s drive or so away from Birmingham. 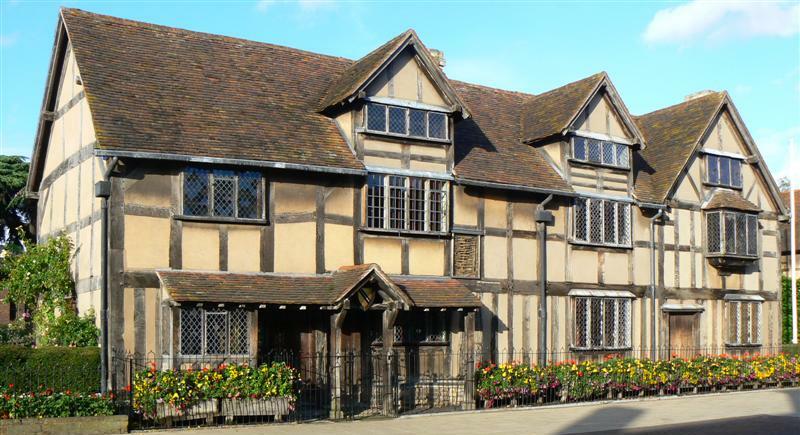 No visit in Stratford-upon-Avon could be complete without a visit to the house where some of the ideas and inspiration behind some of the greatest plays and poems in history potentially began to form; Shakespeare’s Birthplace. Between the house itself where Shakespeare grew as both a boy and a man; the beautiful gardens and the Shakespeare Exhibition, there is much to be explored. The house is even more iconic in that it did not just welcome the great literary mind of Shakespeare; it also opened its doors to the likes of Thomas Hardy and Charles Dickens. Stratford-upon-Avon is home not just to Shakespeare’s childhood residence, but also to his wife’s (Anne Hathaway’s Cottage), his mother’s (Mary Arden’s Farm) and his eldest daughter Susanna’s (Hall Croft). Whichever property you visit, if not all, each is glowing in beauty and heritage, with Anne Hathaway’s Cottage even being known as the most romantic cottage in the country. However, from Shakespeare’s birth to his death, Stratford-upon-Avon has witnessed it all as Nash’s House and New Hall formed the background to the final chapter in his life and now Shakespeare and his wife rest in the stunning parish of Holy Trinity Church. Of course, what is paying tribute to Shakespeare without having an opportunity to see his great works in action? Today, the world’s most widely known theater company, the Royal Shakespeare Company, performs at its resident home in Stratford-upon-Avon where thousands in their droves assemble and while Shakespeare is not the only playwright on the list, with contemporary pieces being performed too, it is still a definite stop on a Shakespeare tour. Therefore, it is abundantly clear that Stratford-upon-Avon is the place for any literary, Shakespeare or Tudor fanatic. Most people associate Shakespeare and his hometown with London; however Birmingham is a lot closer and more conveniently located if you wanted to balance out a city-break with a bit of historical and cultural enlightenment. 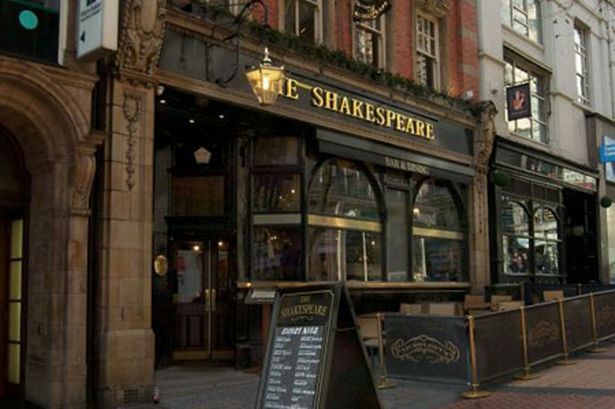 Similarly, if you cannot afford the day-trip, there is always The Shakespeare pub in Birmingham! There are so many reasons why you should visit Birmingham, from Cadbury World to the Bullring to the Jewellery Quarter, and now visiting the birthplace of one of the UK’s most iconic historical figures should be headlining that list also. Is Shakespeare not your literary fix? Well, a famous author also descended from Birmingham itself, the man behind the hobbit, J.R.R Tolkien. 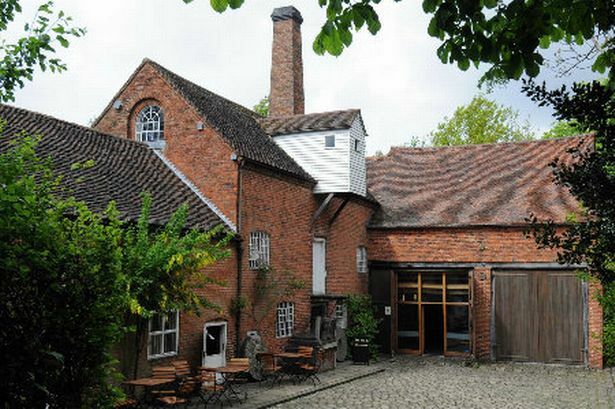 You can pay a visit to Sarehole Mill where Tolkien spent many a happy moment in his youth playing and see some of the Birmingham sights which are reputably responsible for inspiring him when writing his globally beloved novels. However, whatever your motive for visiting, we are always more than eager to accommodate you and all the family and friends you bring with you. 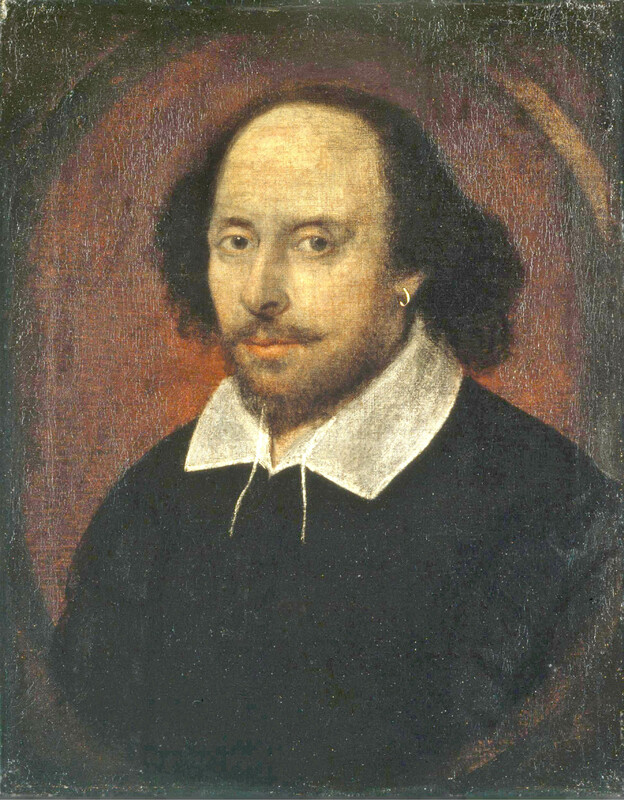 Had he been immortal, today on National Shakespeare Day (April 23rd) Shakespeare would be the rather youthful age of 451 years old. However, while he has not lived to see that mighty age, his globally beloved works have, making a day-trip from Birmingham to Stratford-upon-Avon a timeless venture which I am sure will live on and on throughout future generations.